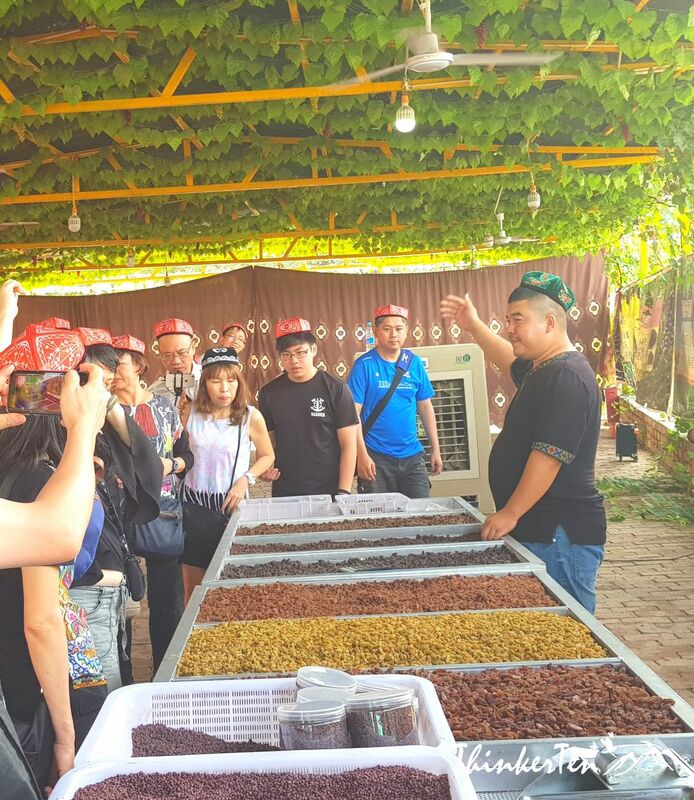 Xinjiang: Experience Uyghur Culture & Raisin Tasting at Uyghur village, Turpan. Today we are visitng Uyghur Village in Turpan. Hoping to learn some of the Uyghur culture and lifestyle at their home. Uyghurs are one of the minority group in China out of the 56 groups. However there are very big population of Uyghur in Xinjiang Autonomous Region, China. The Uyghur are Muslim and regard themselves as culturally and ethnically close to Central Asian. Uyghur are actually Turkic ethnic group and live primarily in the Xinjiang Autonomous Region in China. Uyghur’s look are similar to Central Eurasia. To me, they look very much like Turkish people. Uyghurs also exist in the Central Asian countries such as Kazakhstan, Kyrgyzstan and Uzbekistan and also in Turkey. The one thing I find it unusual is most Uyghurs speak Chinese with an accent, very cute accent! Of course some Uyghurs especially the young generation speak perfect Chinese. Uyghurs do have their own language and writing, similar to arabic. Uyghurs are descendants of wolves according to the Uyghur creation myth. Chinese are descendants of dragons according to their creation myth. When we arrived at the Uyghur home, we were greeted by the Uyghur family. Everyone of us was given a red Uyghur’s hat to wear. Pretty cute. The host who is at his 30’s married twice and speak Chinese came to greet us. He entertained us well with funny songs being translated in Chinese. The most exciting part is when the host showed us how a Uyghur man propose to a Uyghur lady, his dance action & movement indicating some hidden meaning. It was just too funny and we all have a good laugh. Later on, the host also asked one of his aunties to dance the Uyghur dance. It was pretty short, less than 5 mins. Managed to see some dance move from her hands, not a professional dancer but good enough as she is just a housewife. 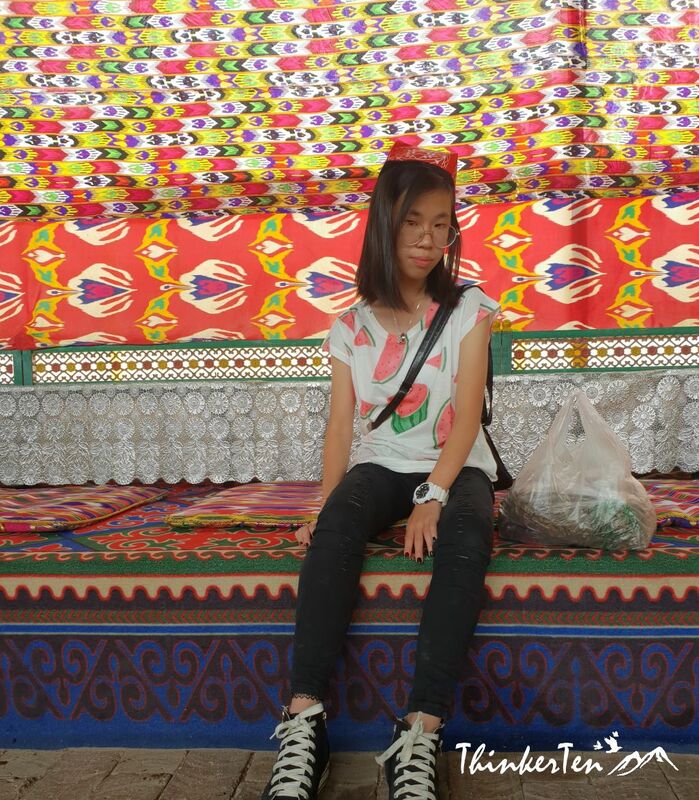 Traditionally Uyghurs sit on the floor on large cushions. It was a long table setting, only men are allowed to sit inside and all ladies have to take the seat outside. We were told that inside seats are VIP seats and reserve for men only. ( You notice gender inequality here, men always being treated better). Watermelon and naan bread was served. 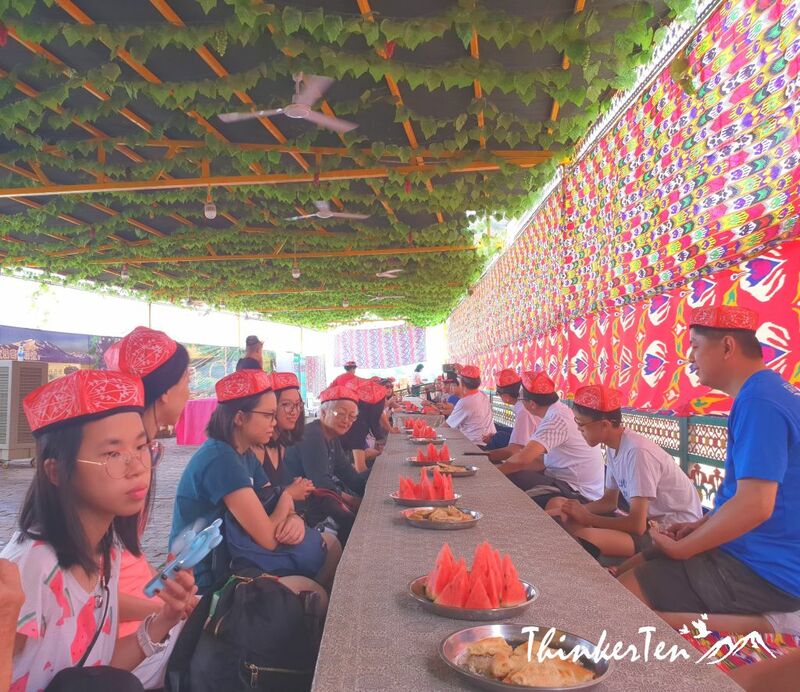 Turpan is famous for it sweet melon as the weather here is ideal for fruits such as melon and grapes. We were told the naan bread was handmade by the owner’s aunties. It tasted very delicious! I ate many of them. Afer we finished tasting the watermelon and homemade naan bread, the owner introduce us the local farmer home-grown raisins. There are many types of raisin and all have different size and colors. Different type of raisin is used for different purposes. Some raisin are for men and some raisin are for women. There are just too many species and I could only remember two or them, the” Grandfather” raisin and “Grandmother” raisin. Grandfather & grandmother raisin are very huge in size, almost three-fold from the usual raisin we see. The taste is very sweet. I bought 1 kg each. Buy 2 kg and get 1 kg free. The price for grandfather & Grandmother raisin aren’t cheap. 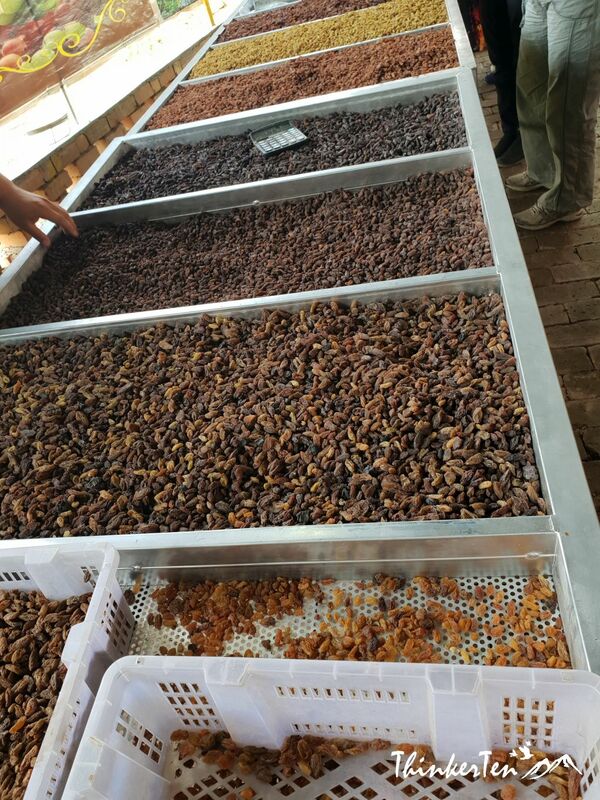 It cost us roughly USD 60 (RMB 400) for the 3 kg of Grandfather and Grandmother raisin. Since we could not find such huge raisin in Singapore, we bought some home. It was a good experience to have a house visit at Uyghur home and learn about raisin in Turpan Xinjiang. We really enjoyed and get entertained well by the young Uyghur man especially with his cute accent and his funny dance – how a Uyghur man propose to a lady. We were dazzled by the bright colours of their traditional dress and decoration of the Uyghur home. Amazing! I never saw so many varieties of raisins. And never heard with title of grandmother and grandfather raisin. I too have never heard of “grandfather or grandmother” of raisin before I arrive in Turpan. Pretty cute names. Grandfather and grandmother are both respectful term used in China so I guess it means the highest grades, due to it giant size and top sweet quality. I love all the different raisins. I too would have to take some of those yummy fruits home. This looks so culturally rich! I love raisins, are these totally natural with no added chemicals or oils? This looks like it was such a wonderful experience. I love being able to learn about cultures different than my own . Totally right 🙂 Learning other people culture is important as culture influence their views, values and thinking. To know about someone culture mean we can see thing from their persepective and understand them better. This was educational and fun at the same time. Gotta love it. Learning in breathtaking environments is a gift. I had no idea about this region or it’s culture. Thanks for educating us all. hope to visit one day. Uyghurs are distantly related to the people of modern Turkey, they actually look very similar to Turkish 🙂 There are about 10 million Uyghurs in China, mostly live in Xinjiang. i have been to china a few times but not to this region. surely looks interesting and would love to see in the future! Thank you for sharing Uyghur culture with us! I’m from Okinawa, Japan and it’s neat to see other Asian countries. I lived in Japan for several years and I know Okinawa but it was a pity I have not yet been to Okinawa. I lived in Kumamoto, Yamaguchi and Chiba during my stay in Japan. The earthquake scare me the most!! This sounds like it would be an incredible experience. I was fortunate enough to stay with locals when I was in Turpan and it was such a different experience to when I was there on holiday. It taught me so much. I love raisins! Looks like I will enjoy it if I go to this place. Will definitely add this to my bucket list. There are so many various type of raisin in Xinjiang but the Turpan Xinjiang is the largest green raisin producer in the world and produce 190,0000 tons annually. It is the world third largest after US and Turkey. Go try their “grandfather or grandmother” raisin, super sweet! This looks like such a great experience! 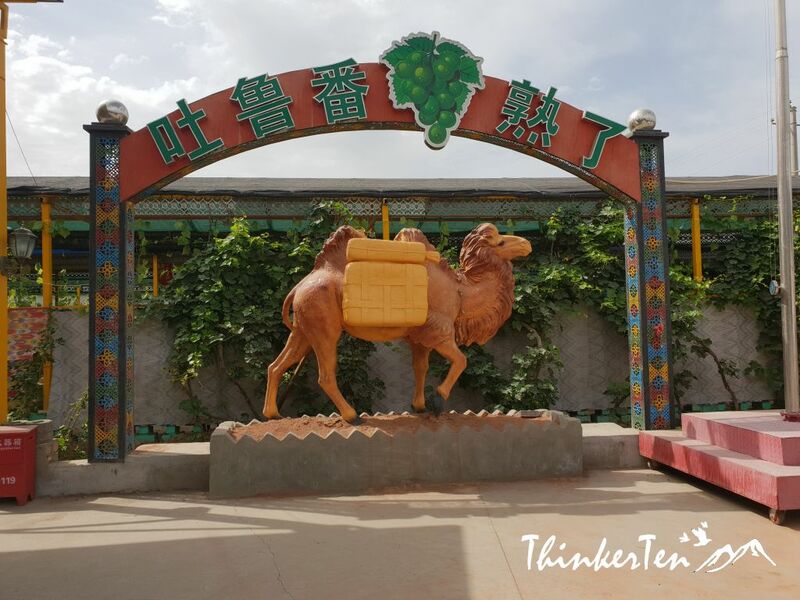 I would love to stay local when visiting Turpan one day! interestingly, I didn’t know that China hosts an Islamic community. And their raisin production is quite good too. China has about 56 minority group in their country and Uyghur from turkic ethnic group, the look and custom silimar to Turkish. I remember once you told me on one of your comments that’s I should visit china. Now after seeing your incredible travel posts i must say it’s just wow. I am making a plan soon though.. When traveling I always want to experience the culture on the place I’m visiting. Sounds like you had a great time. That’s A LOT of raisins!! What an amazing experience. Thank you for sharing. Sounds like an experience I would love to enjoy. it is so amazing to explore and experience the culture of the places you are visiting. its such a great way to learn and really enjoy your time there. Looks like you are having a great time! Thank you for you kind comment. We did have a great time enjoying the afternoon in the village, stay away from the heat! I think it sounds great. I love that dance was incorporated. There were 2 dances during our visit in Uyghur house visit. One was dance by a lady who is the host auntie and one by the host himself. The host dance was an interesting and funny one which caught everyone attention! WOW! Uyghurs are descendants of wolves! That is so cool. And I love migration patterns of races so its fascinating to know that they are of Turkish descent. The raisins do look great. Haha,Uyghurs are descendants of wolves => that’s only the myth. Uyhurs are colorful, charming folks. They dance and sing well! Very nice. This looks like it was a wonderful experience. The raisins look great. I love to learn about places I’ll probably never have the chance to visit. This one looks awesome! I loved learning more about this! I always love learning about new cultures. I was aware there was a Muslim region in China but didn’t know where it was at. It looks like a beautiful place rich in custom and tradition. I love the vibrant colors everywhere. Xinjiang Uygur Autonomous Region is located in the central part of the Eurasian Continent, on the northwest border of China. There are big population of Uyghur who practise Islam religion in Xinjiang. what a great experience! I didn’t know about the Uyghur culture, I have loved to learn something new today! This seems like an incredible experience indeed. I really enjoy learning more about places like this.